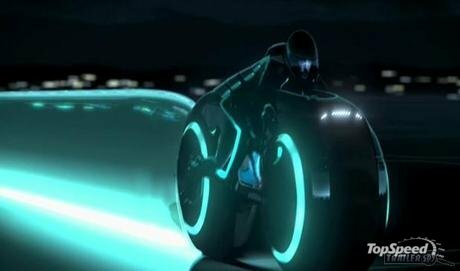 Tron Legacy was better than I thought it might be; the film makers follow up the original film with a plot that is as just as sketchy as the first film's, and offer up an atmosphere and special effects that are, to be sure, better than before, but also in a tolerable scale. One is relieved that no one decided to pause, linger or dwell on a multitude of thyroidal spectacle and one appreciates the smartness to have the action move on, without a hitch or a distraction. The shallow characterizations are not to be sniffed at--this is a fantasy and pretensions of Siddartha would have sank this project, just as it did the last two films in the Matrix trilogy, both of which sounded like nothing so much as the most jargon-choked undergraduate papers from a class in post modern theory as enacted by kitchen appliances. Was I the only one who was overwhelmed with the feeling of someone who'd been sitting in the same room for hours suffering the unceasing prate of a handful of dull and dulling monologists who haven't a worthy anecdote for all their volumes of talk who had to resort to some sort of violent act in order to feel something again? Boredom is a major cause of revolutions and and riots; ennui is the ultimate social injustice, and mindless , jacked-up , effects-glutted spasms in other wise very talky, snail-paced , portentous narratives is a bad way to make a series of action thrillers.The old joke that Kenau Reeves was safely in his expressive range as his cast members, who were robots.